Klayman: For Beto to Make This Statement He Has to Feel Confident That the Jewish Democrat Left Is Behind Him: Disgraceful on Both Counts! 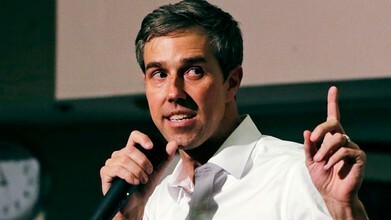 PLYMOUTH, N.H. - Beto O'Rourke is taking aim at embattled Israeli Prime Minister Benjamin Netanyahu, claiming the steadfast ally of Republican President Trump "has openly sided with racists." The Democratic presidential candidate and former congressman from Texas — on the campaign trail in New Hampshire — also criticized negotiators ostensibly trying to end the generations-old Israeli-Palestinian conflict.